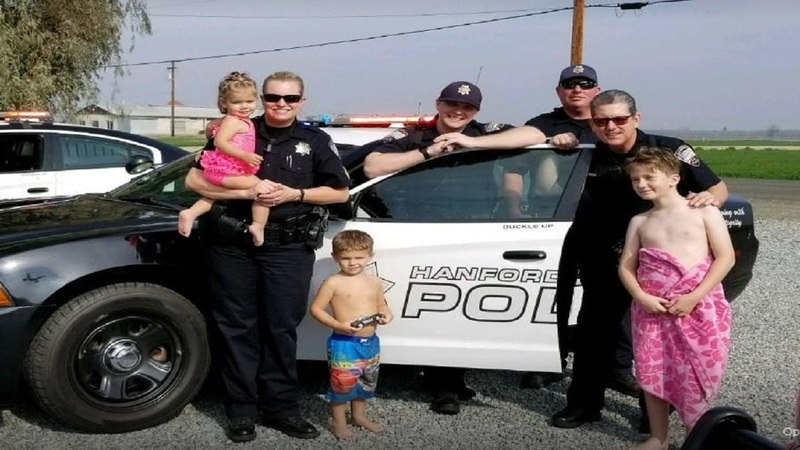 HANFORD, Calif. (KFSN) -- A few Hanford Police Officers caught up with a little boy whose short video caught their attention. A video was sent to the Hanford Police Department about three weeks ago with the caption, "A friend of mine sent me this video this morning. It made me smile and I thought I would pass it on. She told her son she loves him and his reply was he loves his sister and Police Officers!" 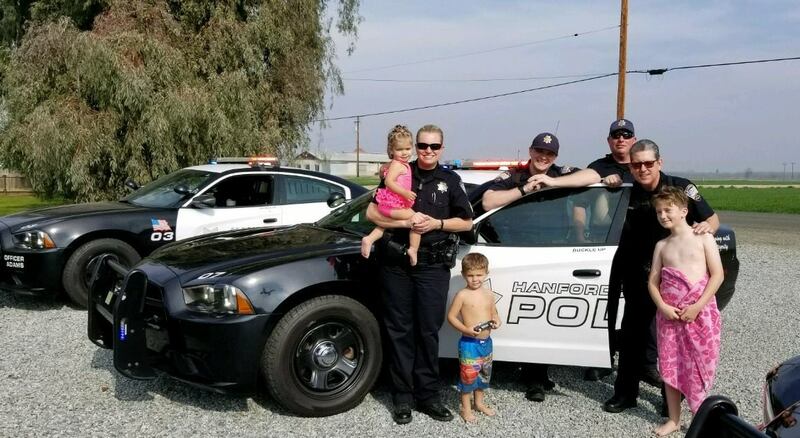 A few Hanford Police Officers caught up with a little boy whose short video caught their attention. 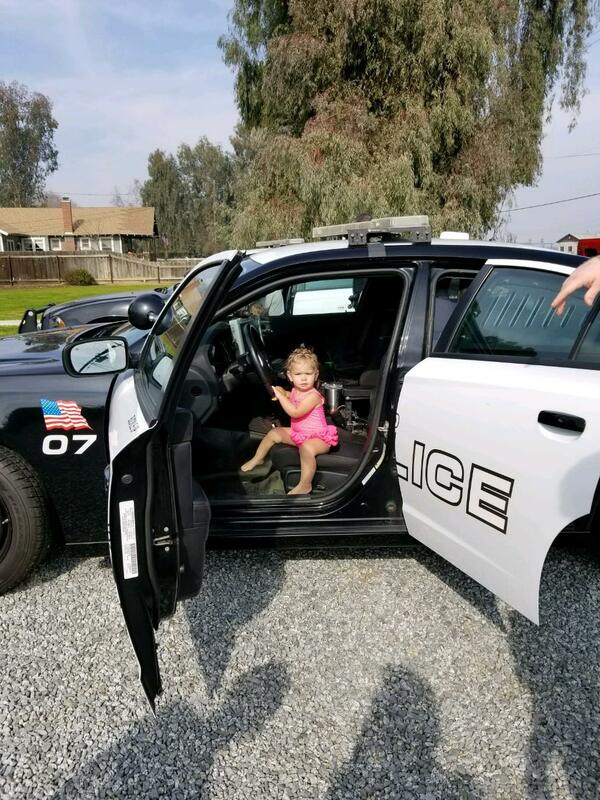 Well, on Sunday the little boy and his sister were treated to a mini meet and greet with some officers and got to sit in a patrol car while taking photos. 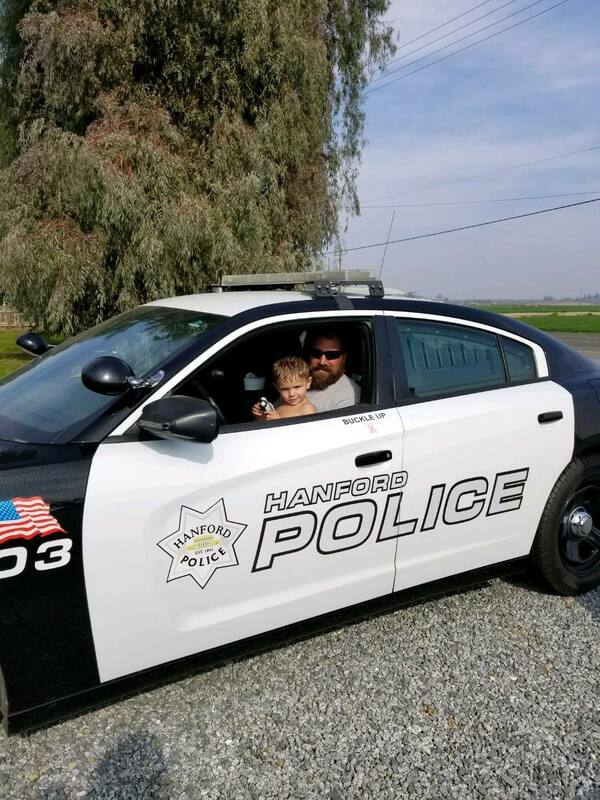 The Hanford Police Officers Association shared those photos on their Facebook page and mentioned the officers gave the boy a toy police car to show they love him too.